EarHustle411 had the distinct pleasure of attending and being a sponsor for the “Write The Vision: A Vision Board Brunch” that was created and hosted by Dr. Michelle J. Miller, Esq. The workshop took place in Chicago at The South Loop Hotel. 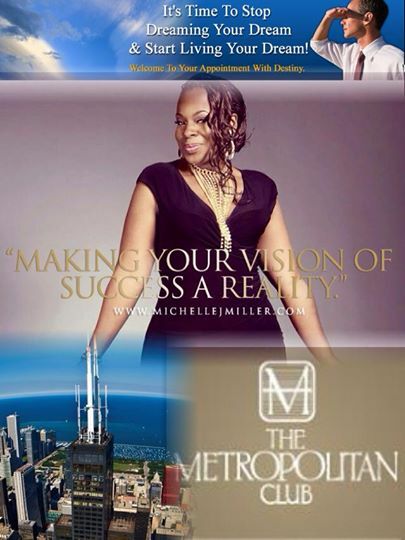 Dr. Michelle J. Miller, Esq is a successful lawyer, entrepreneur and author. She shared with EarHustle411 her decision about hosting and creating a vision board workshop. Michelle knows the importance of mapping out your future goals and noticed people were not able to complete a vision board due to lack of materials and inspiration. 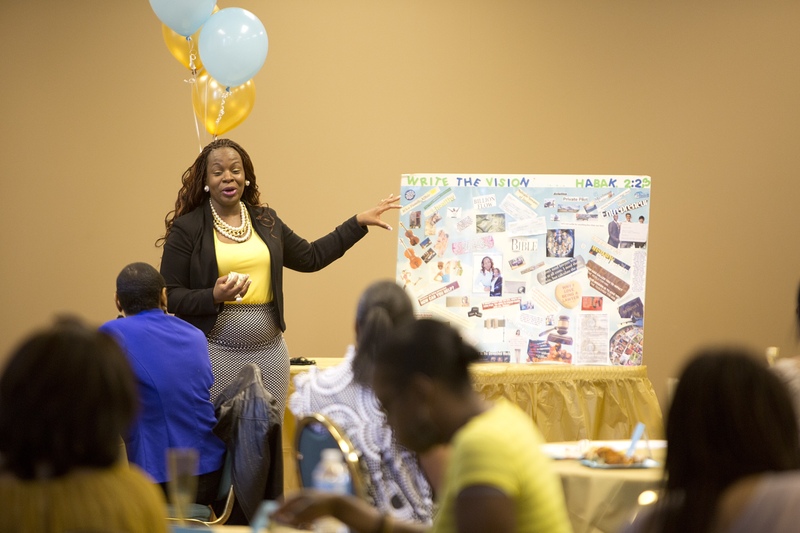 This was her inspiration behind the Write The Vision: A Vision Board Brunch workshop. 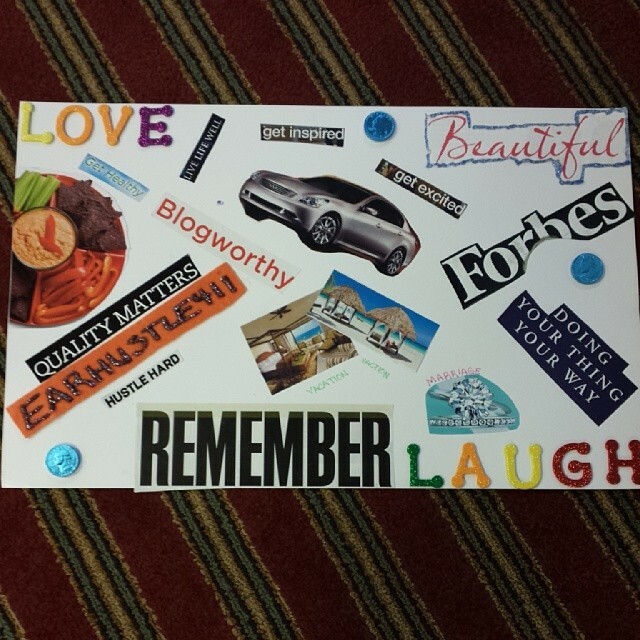 A Vision board is a board that one would create to help visualize their long and short term goals. When it comes to making a vision board you set your own rules. 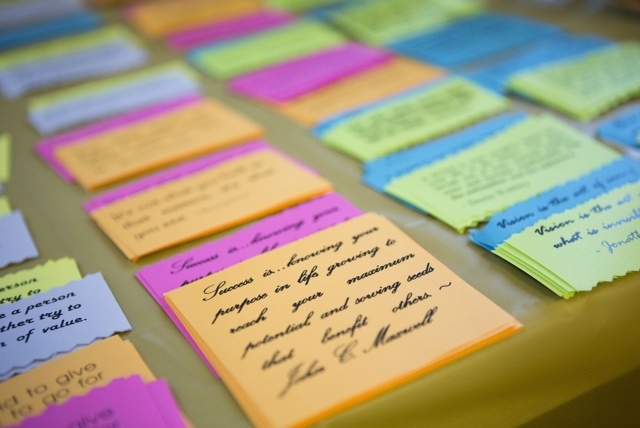 The workshop provided all materials such as poster boards, glue, markers, magazines and other items. The attendees also enjoyed brunch provided by Ms. Miller with food items such as bagels, fruit, muffins, homemade pound cake by Cakes By Bernadette and sparking grape juice. 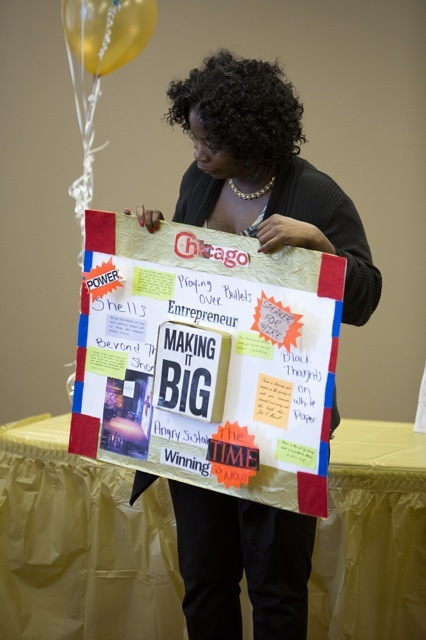 Michelle J. Miller gave an inspiring introduction while sharing her own vision board. She was engaging, informative, knowledgeable and captivating. You can feel the inspiration in the room as Michelle spoke to the attendees. The event concluded with the some attendees sharing their vision and how they were inspired by the workshop. 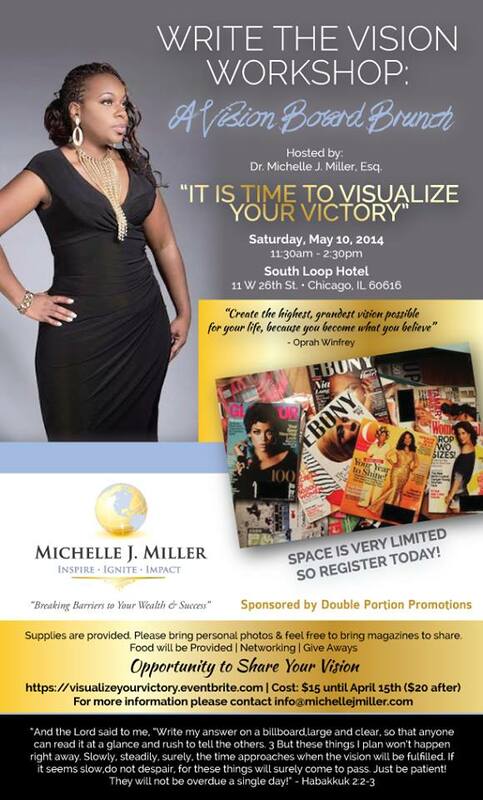 Dr. Michelle J. Miller, Esq is planning on hosting another event on July 19, 2014 at The Willis Tower, in Chicago, IL which will give the attendees the opportunity to show how their previous vision board is coming to fruition.